Global Seminars: First day in Norway! Today, we went to REC Solar Fiskaa Technologies (old Elkem), company that stands out by the way they use silicone in the production of solar panels. We got a little bit of rain when we were waiting to get in the facility. Today, we went to REC Solar Fiskaa Technologies (old Elkem), company that stands out by the way they use silicone in the production of solar panels. We got a little bit of rain when we were waiting to get in the facility, which is ​why Tasha looks a little sad in this picture. 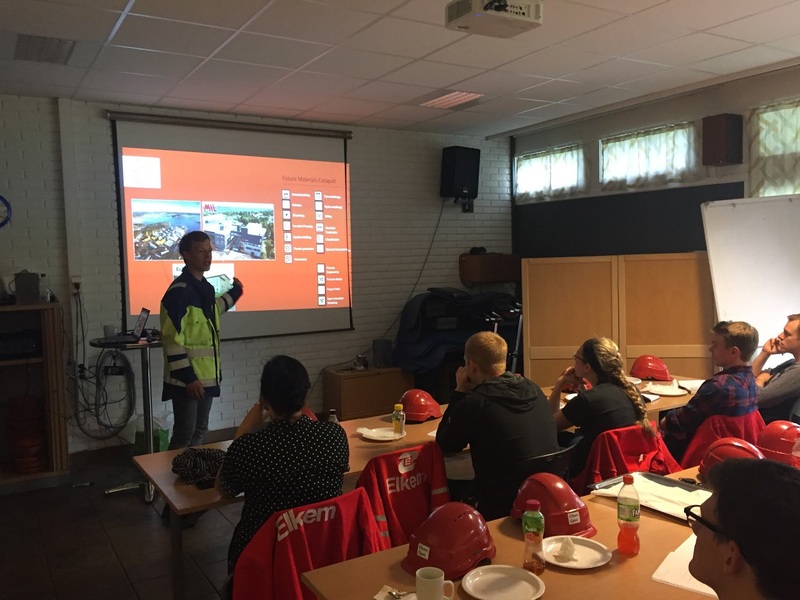 After getting all of our guest cards and red safety gear, we headed out for a great lecture with Jorunn Skfteland Gislefoss (plant manager) and Gunstein Skomedal (research and development engineer at Elkem Technologies) about what the company does and how the process of extracting the silicone from quartz works and what they do with the final product. After, the overview, Jorunn took us to a tour around their facilities. We saw the big furnace the use to extract the silicone from quartz. After learning a ton at Fiskaa Technologies, we met with some of the future students from the University of Agder that are going to study at Minnesota. We answered questions they had about how life is in the U.S., and we also took the opportunity to ask the same of them. This was our last stop for the day here in Norway. Tomorrow is going to be a big day!! !